With it being spring and the coats coming off, we really want to make sure that we are following all the best fashion trends from the runway shows that we have seen since last September for the season. Those trends have included everything from fringe pieces to twin sets of crop tops and midi skirts, while also very much including the belted look that can appear to be positively chic if worn the right way. If you thought there was only a single way to wear a belt, you really thought wrong there, which is why we’ve come up with a list of 7 ways to revamp all you know about belting it correctly. If you have not already noticed, belts are an amazing way of putting the emphasis on a thin waist, therefor allowing the bust and the hips to appear slightly fuller and more womanly. 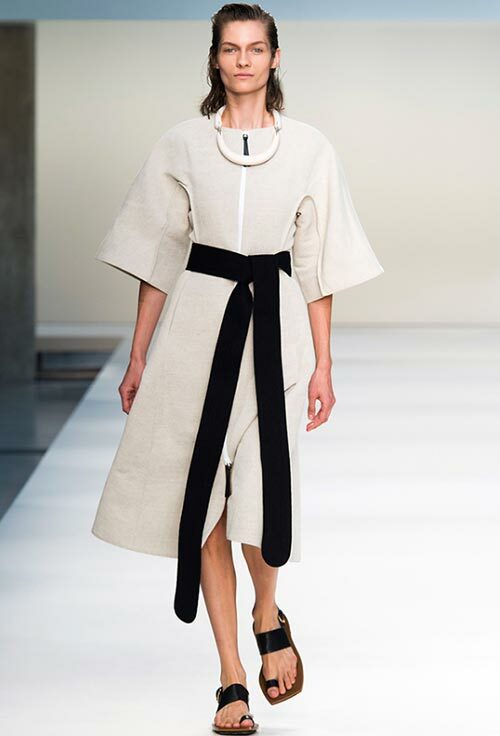 The biggest trend is actually the Japanese obi among many other variations, which has appeared on the catwalks frequented by JW Anderson, Maison Martin Margiela, Marni, and Saint Laurent’s disco style. Bows and fabric belts appeared on Sportmax and Burberry Prorsum, while buckles were totally ignored on the Missoni, Bottega Veneta and Haider Achermann shows. So how should you be wearing those belts? 1. Thick Obi Style: We love the way the buckle foregoing thicker obi style belts appear on the Isabel Marant runway, cinching in the waist from under the bust to above the hip, giving her a longer silhouette overall. It looks especially good with worn with a wraparound blouse. 2. 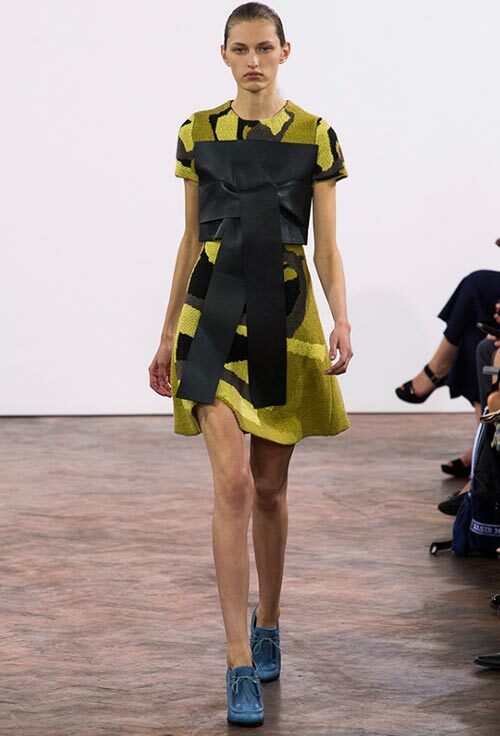 Big Blocks and Bows: Just in case you thought that belts should always be worn in the traditional manner, JW Anderson takes the Japanese obi to new heights and creates a block on the chest with a huge bow in front, all this as part of that rather large belt. 3. Tied Fabric: Button down coatdresses get a bit of a makeover when we add a gauzy tulle belt that we tie around the waist, do a double knot and let it fall into place like a mock bow, just like the Burberry versions. 4. New Way to Wear Old Belt: Normally one end would go through the buckle of the other and thus secure a belt in place. Apparently it is just as chic to simply tie it normally and let both end fall downwards, buckle and all. Bottega Veneta and Missoni might be on to something here. 5. Tie a Weave: It is not just normal fabric that you can tie up to make a belt out of it, but also the Sportmax way of a leather weave with fringed ends, adding a whole lot of dimension to the look. 6. Keep it Really Long: If you are going to tie up fabric to make a belt, it does not necessarily have to be short either. 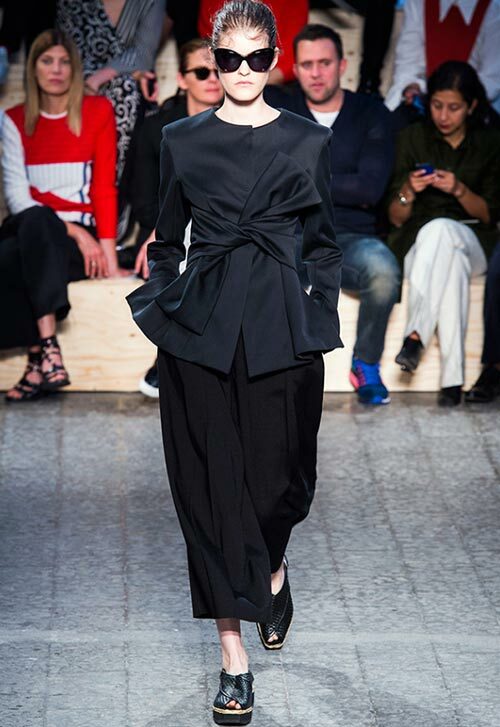 For example, you can try the Marni way and leave the ends nice and long so that they fall to wound your knees. 7. Wear it Thin: While so many of the belts were big and bold and sticking out as the prominent accessories on the outfit, there were designers like Maison Martin Margiela who also opted for the thinner versions that appear to be barely there among the prints and colors of the dresses they adorn. The way the dress itself is made looks like the thin belt is placed over an obi that matches what’s underneath perfectly.